Explore Horizons, a local tutoring and enrichment provider, is pleased to announce a partnership with Dallas homeless shelter, Family Gateway. As part of the partnership, Explore Horizons will be offering voluntary educational support services in math, reading and writing once a month to children who are living at the shelter. In addition to providing safe and stable housing as well as comprehensive case management, Family Gateway works with a variety of partner agencies to deliver a wide array of services to its clients, including mental and physical health care; employment readiness and job training; financial literacy classes; and educational support, such as preschool and afterschool programs, GED preparation classes, and assistance seeking higher education. For more information on Family Gateway, visit, www.familygateway.org. Explore Horizons was founded in 2001 in the UK by Cambridge University mathematics graduate Bill Mills and was born out of the desire to help parents and children gain access to the benefits of a great education. It currently operates more than 120 centers in the U.K. 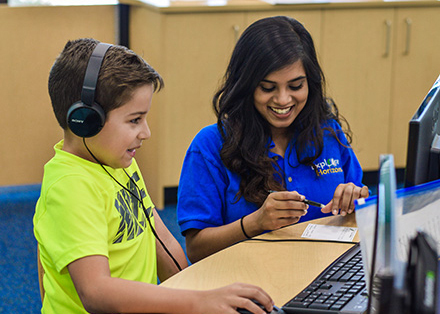 The first center in the U.S. opened in March 2014 and currently there are locations in Plano, Garland, Fort Worth Frisco and McKinney. Plans to open centers throughout the United States and the globe are under way.